Each Tuesday the Memphis Ukulele Flash Mob meets at Central BBQ on Summer Ave. in Memphis . The weekly sing along is led by Pete McCarty (AKA Petey Mack) About 100 people of all ages show up with ukuleles and kazoos in hand to play and sing together. The all volunteer Memphis Ukulele Flash Mob also plays on occasion for the elderly, for sick children and even at some area Farmers Markets and festivals. 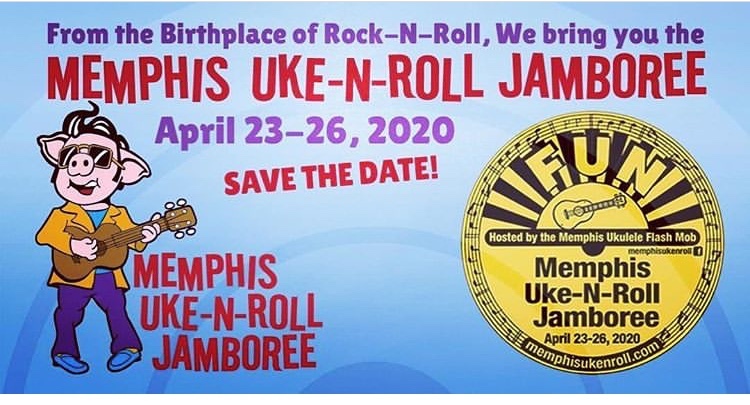 Memphis has a very rich music history and is the perfect place to hold a ukulele festival. You’ve never been to a ukulele festival? Well click the VIDEO ABOVE to get an idea of what goes on. This video is from the Brown County Ukulele Festival in Brown County Indiana. Audio Engineering: History, Theory and Practice - Rhodes College, Memphis, Tenn. Audio Engineering: History, Theory and Practice - Rhodes College, Memphis, Tennessee. Dylan Dunn Plays National Anthem ~ Dunn opened up a pre-season Memphis Grizzlies NBA Basketball game with an electrified version of the National Anthem. Miss Jubilee entertains diners at Evangeline's during a Sunday jazz brunch in the Central West End neighborhood of St. Louis, Missouri. Valerie Kirchhoff, @ http://miss-jubilee.com/ the lead vocalist, sings from a great set list of music from the 1920s and 30s. Ethan Leinwand @ http://www.ethanleinwand.com/ is a St. Louis-based barrel-house blues pianist. GREAT FUN! GREAT BRUNCH! GETTING FIT WAS NEVER SO MUCH FUN! Diana gets the whole pool rocking during her water workout class at the Cordova, Tennessee YMCA. This fun video clip says more than I ever could. Luxurious Caribbean living can be enjoyed at Casa de Campo Resort and Villas in La Romana, Dominican Republic. This Dominican Republic Luxury Golf Resort, has 7,000-acre, lush, tropical grounds, pools and beach access. Casa de Campo Resort & Villas boasts some of the best polo in the world. The Dominican Republic is one of the top destinations for high handicap polo in the world they say, following England’s Queen’s Cup, the US Open in Palm Beach, and Sotogrande in Spain. The resort is also home to Teeth of the Dog golf course, the #1 ranked course in the Caribbean. Each guest gets a golf cart to roam the grounds. The beach is lovely with chairs, towels, a handy restaurant and pool nearby. There is also another beautiful pool near the hotel. A fantastic fresh breakfast buffet overlooks the ocean and golf course. Breakfast includes some local specialties, fruit, breads, cheese, meats, cereals and made to order egg dishes. All of our meals were excellent and there are several places to choose from without even leaving the resort. Its a nice way to wrap up the day watching polo. Horses are available to ride including an adorable miniature horse. We visited at the end of May and it was not crowded at all. Off property we watched ladies with Tabacalera de Garcia hand-roll Vega Fina cigars at a small off-site facility in LaRomana in the Dominican Republic. In a lengthy and complex process, tobacco leaves are cut, dried, and aged, and categorized by taste and strength. The rollers then use a leaf binder to wrap the cigar's filler, then wrap with a solid leaf. What we enjoyed most at this resort was the staffs desire to please their customers. I don't recall ever finding a staff that was so eager to please, so friendly, accommodating and helpful. This made the stay extra nice. We got the all inclusive, which I think was a good idea. Our meals would have exceeded the cost each day and it was nice to just eat what we wanted and not worry about it. There were a few things that were not included so be sure to review the details before choosing a place to eat. They are sisters and they sing like angels. Four of their albums hit the top of the charts. Now, reluctantly, they are breaking up for God's sake! Yes, for God's sake. They are the nuns of the Benedictines of Mary, Queen of Apostles, at the Catholic monastery in Gower, Mo. “We are breaking up,” explains Sister Scholastica, assistant prioress. The angelic sound that has blessed them with 10 successful CDs--and four that reached #1 —may never be the same. This makes their latest album, The Hearts of Jesus Mary and Joseph at Ephesus, even more special. It could be their last recording together as a relatively new religious order and musical group. In this case, breaking up is an exciting thing. The order has grown so fast that they have outgrown their current monastery. They believe 30-40 sisters should be the maximum size. “I think more than that might start to feel like an anonymous crowd, where one might be among a circle of friends, but not necessarily a family” she explains. This very traditional order of nuns started with two members in 1995. They currently have thirty-five women, ages 17-94--and more coming in every day. Ready to commit (or seeking admission) are five postulants. Nine have officially signed up for early October and 20 or so more are in consideration. The monastery began to fill up. In the chapel, they moved from choir stalls to ordinary pews. Then, the new postulants started filling up the back pews normally reserved for guests. As more women came to join the order, Mother Cecilia, the prioress, realized they'd have to build again. They started this tenth recording adventure to help with the financing the project. “It would be very nice to stay together, but it is very much like in family life: there is a time when the older children grow up, and must begin their own families and carry on the family line” says sister. They are actively looking at different properties and locations to begin a new house. They'll have several sisters go and start a new monastery. “We are still gathering all the information and praying about where God wants us” explains Sister Scholastica. So, it's possible that the earthly gift of this temporal union of women vocalists may have an uncertain future. But surely there will be more music coming from this sacred homestead? It has been an enlightening month leading up to the 50th anniversary of the death of Martin Luther King, who was shot here in Memphis on April 4, 1968. Civil Rights icons and historical memories were revisited by news organizations from all over the world. Younger generations looked for ways to express themselves too. The national and international media wanted to tell the story of the man, MLK, who led a peaceful movement for change--A movement that demanded fair treatment and dignity for blacks in the days of segregation. Fifty years ago, this week, James Earl Ray sat in a window across the street from the Lorraine Motel, patiently waiting for the controversial minister to exit his motel room. As MLK emerged with friends, a shot rang out, and a bullet hit MLK alone and killed him. Rev. Jessie Jackson was one of the people on the balcony nearby when King was shot. Jackson made the comment that he was young then. “ I am old now, “ he said. At 6:01 this week on April 4th, the same minute that King was shot in 1968, a bell rang, and the crowd settled down. We all stood at the site of the murder. Caught in the moment, a pensive and unusually silent Rev. Jackson paused as he placed a new wreath on that balcony, in front of thousands of people who came to be a part of the anniversary. It was an emotional and somber moment. Earlier in the week, I photographed Clayborn Temple, where the I Am A Man movement was organized. I also photographed King’s children and grandchildren in Mason Temple where MLK gave his Mountain Top speech. The night was stormy, just like it was the night he gave the original speech. I had the pleasure of photographing and videoing one of the original sanitation workers, Rev. Cleo Smith, who is still driving a truck today at age 78. I heard first-hand about the day sanitation workers were crushed in their truck, and about the origins of the “I Am A Man” quote. Cleo reflected on what it was like to be called “boy” by his superiors. He said one of the workers mustered the courage to correct a superior. “Sir, I am a man,” he said. I photographed marches, rallies, and song and dance. One of the most popular stories was that some young men walked from Mississippi in their “March to Memphis” in honor of MLK. I loved having all eyes on Memphis. Memphis is such a soulful place; rich in history. Memphis is a gritty complex city, but that is also what makes it so special. That complexity, grit and pain is much of what makes Memphis special. I compare it to a pearl. Pearls are made when an irritant, such as a grain of sand, gets stuck inside the oyster's body. Memphis has been through a lot. Memphis is a pearl. Being a photojournalist in Memphis has given me a front row seat to so much history. In my years here I have heard first hand accounts about the strides made by the early civil rights movement icons. A few years back my colleague Marc Perrusquia and I worked on a project for The Commercial Appeal. Marc discovered the famous black Civil Rights photographer Ernest Withers was a spy for the FBI. He had been an informant, passing along information on the activities of the black community in Memphis. We interviewed many of them, many who also died before we published the story. I knew Withers as a fellow photojournalist. Marc’s book, 'A Spy in Canaan' was also released a few weeks ago, just in time for the 50th Anniversary. Here is the review from the Washington Post. “As we mark #mlk50, it’s worth considering this question: Can love be a strategy for social change and justice? This group of teens from Pearl, Miss., who honored Dr. King by setting out Sunday on a three-day, 50-mile trek to Memphis, Tenn. That’s where King stood in support of striking black sanitation workers – and where he was fatally shot on April 4, 1968. If you drove past them, you might have just seen six young men sweating in the spring humidity. But if you paid closer attention, as did Monitor correspondent Carmen K. Sisson, you’d have seen the love and action they inspired. The Pearl Police Department escorted them. The Memphis Police Department welcomed them. One teen who struggled to keep walking saw his peers rally around him. A roadside vendor offered oranges out of respect for the marchers and King. Winnie, the baby hippo born to Binti at the Memphis Zoo, turned one on March 23rd, 2018. Binti has been a great mother. 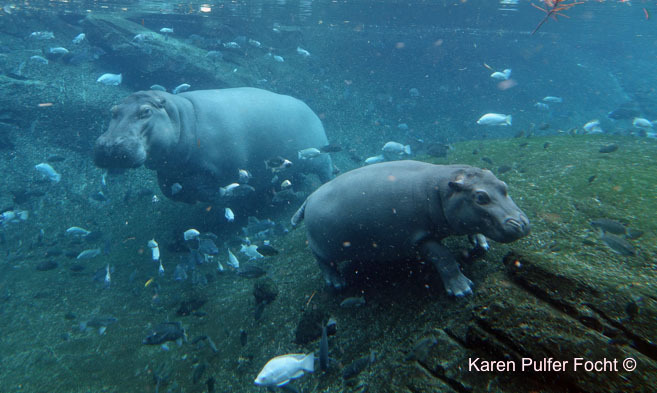 In this video you can see underwater dance that goes on between them, you can see typical hippo behavior and watch for Winnie to start nursing her mother under water. Follow along as I take you through Tuscany. This short video will give you a glimpse of Tuscany, one of the favored regions of Italy. This video includes Michael Angelo's statue of David, The Cathedral in Florence, The cities of Lucca, Montecatini Terme, San Gimignano and Pisa. This visual journal will wet your appetite. Gower, Missouri- The Benedictines of Mary, Queen of Apostles, is a group of young Catholic cloistered nuns living a secluded life in the rolling hills and farmlands north of Kansas City. They have chosen to come away from the world and spend their days working in silence-- except for when they are singing sacred music. These are women are seeking a conversion of life. “We are in a sense reaching back through time and conserving that way of life for the future,” Mother Cecilia said. The Benedictine way of life has given the church thousands of saints, she said. It is within this contemporary monastery that these sisters are working on their latest album of sacred music to raise money to build their church. These singing nuns gained national attention when four of their albums topped the classical charts. The convent was built on land donated by a local farmer. According to Sr. Scholastica, the sub-prioress of the order, on the day the nuns first visited the land in 2007 to inspect it, they spotted a cloud formation of a very clear dark-gray arm and hand pointing down to the property. Above the "hand" floated a bright white dove. "It was a truly astonishing sight. Yes, this is where God wanted us," she said. Their days are filled with silence, chores, prayers, chanting and song while they wait for God to come to them in whispers. Wearing distinctive habits and veils that cover all but their pretty faces and hands, they make their deep commitment to be a bride of Christ, visible to all who come into contact with them. Each night the nuns have Vespers in their tiny chapel. Evening prayer is part of the Liturgy of the Hours, also known as the Divine Office. Candles are lit; the pious nuns quietly process into the hallowed space in a very orderly way. They begin to express ancient soulful rituals as they chant, bow and sing, "with the help of the angels." Their numbers are growing, as are their financial needs. They continue to expand and create a holy atmosphere conducive to a powerful inner life. They have attracted women from all over the globe. Their average age is 29, including Sister Wilhelmina who will be 93 just after Easter. “It is a great blessing to have her wisdom and experience to guide us” said Sister Scholastica. The nuns recently started a campaign to build their own church. "The monastery church is the focal point of every community, a place where the faithful may come partake of the prayer that is constantly offered there” the sister explains. The decision to build the $6.5 million church is a practical one, they have run out of room. They have raised half the money needed. The hope it will be finished this fall, just in time for more candidates arrive. They rely on the money they make from their music and donations. They recently got a glimpse of the changing world when received a large donation in bitcoin. When Baby Orangutan Rowan, wants mommy Kisses. ~Rowan and Jahe are on exhibit at the Memphis Zoo. Baby Rowan, was born on March 19, 2016 at the Memphis Zoo via Cesarean section. Rowan, weighed 4.5 pounds at birth, and was bottle fed by zookeepers. He is a Sumatran Orangutan. Only about 200 Sumatran Orangutans are currently on exhibit across the USA. The species is listed as “Critically Endangered.” Orangutan means “man of the forest;” Orangutans have the second longest childhood, first being humans, spending up to eight years with their mothers. As a photojournalist in Memphis, I have covered Jerry Lee Lewis many times over the years. I moved to Memphis in the late 80's and I have always enjoyed watching Jerry Lee Lewis perform. I consider myself a fan as well. I was originally introduced to him by my fellow coworker Jim Kingsley, who has since passed away. Jim who was a stereotypical newsman, was also in the inner circle of Elvis Presley. Jerry was married to his sixth wife Kerry Lynn McCarver at the time. I remember Lee (Jerry Lee Lewis lll) as a toddler. Lewis is passionate about his music and loyal to his fans. I have photographed him in clubs, festivals, on Donald Trumps yacht and have been lucky enough to visit his ranch many times. I watched him get inducted into the Rock and Roll Hall of Fame and I watched the IRS remove his piano from his home when he owed back taxes. Jerry Lee has lived a turbulent life and he has a wild reputation. While I admit he is a bit of a flirt, I can say my personal experience with him has been that he has always been a kind man and a gentleman, each and every time I have interacted with him. It has always been my pleasure to photograph him. 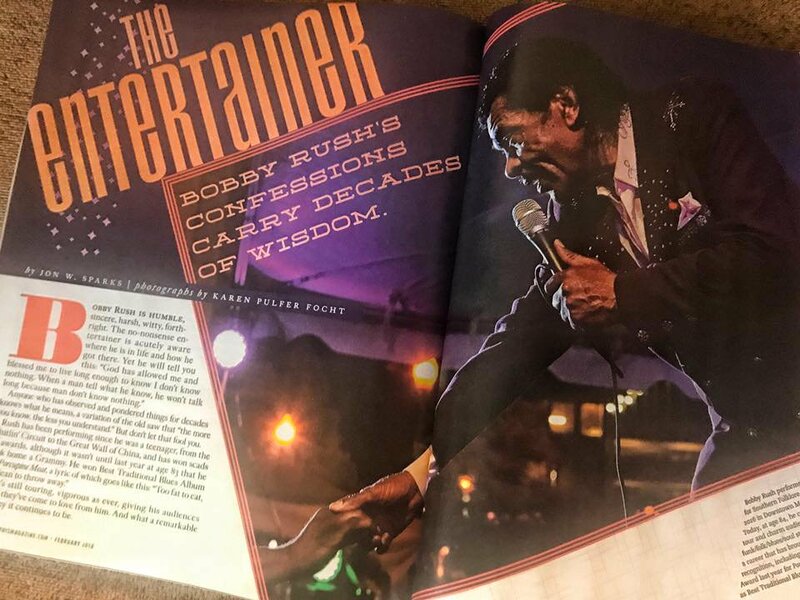 I recently watched him bring in the new year once again at age 82, at his namesake club, Jerry Lee Lewis Cafe and Honky Tonk on Beale Street in Memphis. I realized what an honor it has been to cover him for 30 years. I still get a kick out of watching him and he still gets a kick out of playing for his fans who come from all over the world to see him. You can see in the video that he stills smiles at the end of Great Balls of Fire, his signature song that he must have sung thousands of times since it was a hit in the 50's. I have decided to share a glimpse of my photo collection in this photo gallery (above) and share a current video in this blog space below. Baby Giraffe hand raised at Memphis Zoo. The animals showed only mild changes in behavior at the Memphis Zoo during the eclipse, on August 21st 2017---except for the alligators, which became very active. The cicadas were heard singing their evening song at the time of the eclipse, some of the animals acted a bit sleepy or like they were ready to go inside. At 1:22 p.m., the moon was covering 94 percent of the sun. Winnie the Hippo was said to have gotten out and played in the sand, during what normally would have been her nap time. I have created a photo gallery and short video of what I observed while there. The zoo provided a great backdrop as people waited for the eclipse to unfold. A fourth baby reticulated giraffe has been born at the Zoo; three giraffes have been born there in the last four months. The three that have been born since spring were all out on exhibit, Panya, ‘Bogey’ and Wakati. Angela Kate, Panya’s mother, was the first giraffe calf born at the Memphis Zoo for a decade when she was born in 2006. Wakati slept a great deal today, Panya stuck close to her mother and Bogey just played around. At the time of the eclipse, the giraffes started to head back into the barn. In the past 15 years, the population of wild giraffes has decreased from 140,000 to 80,000. While visiting a whaling museum in New Bedford, Mass we saw this on the wall. "In the 1800s thousands of voyages with tens of thousands of men, killed hundreds of thousands of whales, by traveling millions of miles, for tens of millions of gallons of oil, for hundreds of millions in profits. Today whale watching is a multibillion dollar global industry"
While in Cape Cod we did a whale watching tour. We used a company called Dolphin Fleet in Province town. Our tour exceeded expectations. We not only enjoyed the boat ride, had a drink during a beautiful sunset, but we were taught about whales and their migration patterns as we watched for the majestic creatures. We were able to make reservation the same day, which we appreciated. The boat was large, safe and uncrowded. The evening was perfect; the staff was knowledgeable and engaging. They helped us anticipate where the whale could be rising from the water each time. We were awestruck as we witnessed the whale’s enormous size from up close. These mammals are simply amazing to watch. We did not hear any whale songs and they did not breach the water, however the acrobatic abilities were evident as they filled their mouths with sea creatures diving in and out of the water. So glad we made the time.